Do you recommend Company X? 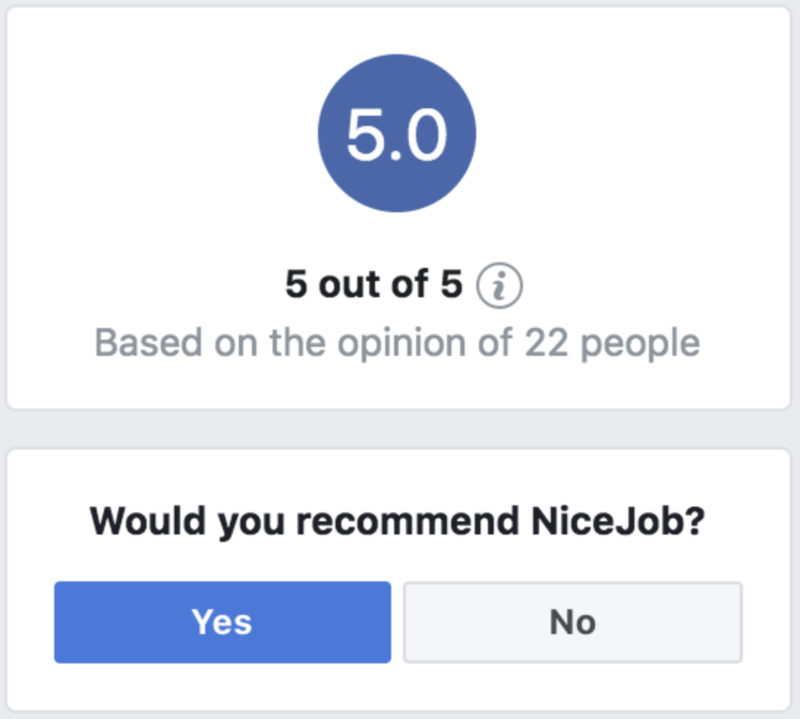 Facebook now assigns a value of “5” to a “Yes” Recommendation and a value of “1” to a “No” Recommendation and averages these responses to create the overall score. PatientTrak’s Review Monitoring Service captures these values and displays them within the software. Customers may see some slight changes in your data as we have recently updated the system to reflect these changes by Facebook.